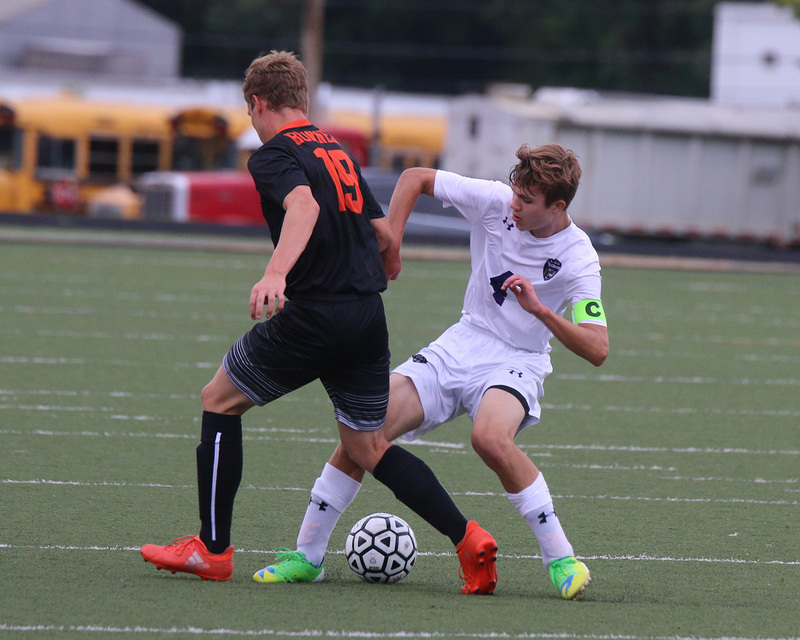 Louisburg midfielder Ryan Haight battles a Bonner Springs opponent for a 50-50 ball Thursday at Bonner Springs High School. 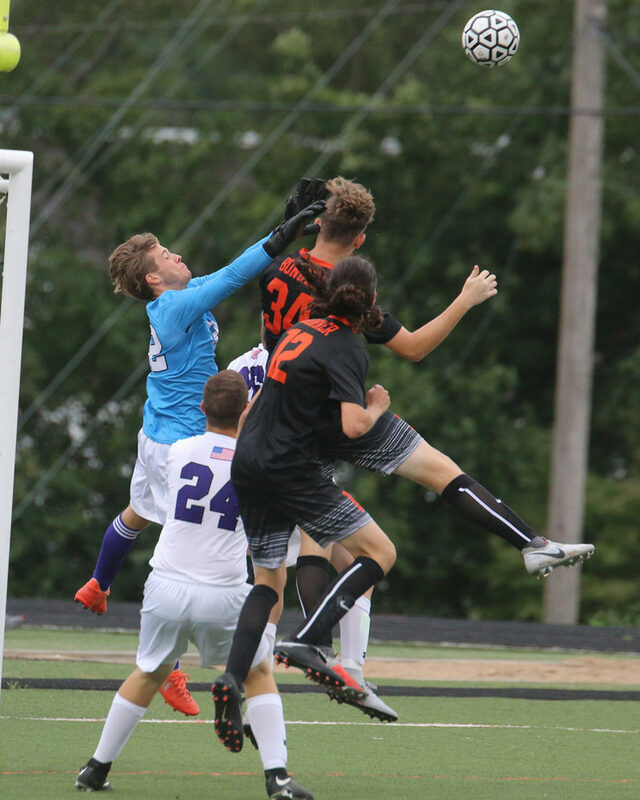 The Wildcats won 2-1 in double overtime. Good job Chris!!! Keep working hard….